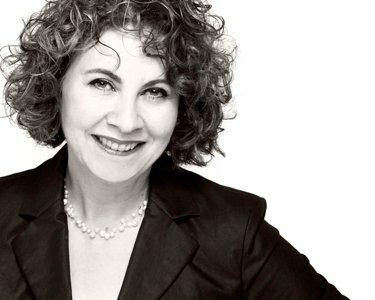 Lynda Goldman, a native of Montreal, Canada, is an author of 40+ books, a publisher of health and wellness books, and a copywriter for the natural health industry. With a fine arts degree but few job prospects, Lynda got a teaching degree and a job teaching English as a Second Language at the college level. She subsequently fell into writing (read more about her journey here), when a colleague asked her to co-author a book, and they were offered a contract by Prentice Hall to write a series. This led to writing 27 more books with three major publishers. She fell in love with writing books, and then went on to write and publish books for her clients, as well as copywriting for the natural products industry. Natural health is Lynda’s passion, so it made sense to combine her talent for writing with her interests in health and wellness. Fortunately, health and wellness professionals, like most professionals, understand the importance of a book to expand their practice and to become the authority in their field. However, while they might want to write a book, many simply don’t have the time or the ability. As a result, they turn to Lynda to ghostwrite their books. But was ghostwriting the best way to help health and wellness professionals share their wisdom and knowledge? Ghostwriting can be expensive, which for many puts the kibosh on capturing their expertise in a book. “Not everyone can afford the fees, which average from $25,000 – $50,000 and upwards for a full book,” acknowledges Lynda. Ever the creative problem solver, Lynda developed Write a Wellness Book, an online course that teaches health and wellness professionals, step-by-step, how to write their own books without incurring the expense of a ghostwriter. As you can see, Lynda loves to share her own expertise and knowledge with as many people as she can, and is changing lives as a result. Recently she created an eBook called 7 Steps to Write a Health and Wellness Book, available for free on her website. “My eBook provides professionals with a proven road map for successfully writing a health and wellness book, based on my more than 25 years of writing books,” says Lynda. Lynda also includes some great advice for people who want to write but who don’t relish the thought of writing or indeed find writing difficult. But we’ll let you download her wonderfully succinct and beautifully written eBook and read her advice for yourself. Click here to find out more about the Write a Health & Wellness Book online course. Subscribe to Lynda’s mailing list to find out the next course start-date, and for other upcoming courses, as well as to receive her free eBook, 7 Steps to Write a Health and Wellness Book.